During the hot Toronto summer months, air conditioners are a must to stay cool and comfortable. No one wants to sit in a sweltering home when they can be relaxing in the cool comfort of a climate-controlled environment. Luckily, you can find companies offering rental air conditioners and rest assured that you will always have cool air at your fingertips. • If your home is in direct sunlight for the majority of the day, you will need an A/C with a higher cooling capacity to combat the radiant heat. • Choose a unit that can handle the square footage of the room(s) you wish to cool. This is of the utmost importance, or you won’t be receiving the most efficient unit for your requirements. • Shop around. Get several quotes before making your final decision. Use only reputable companies with guarantees. Why choose Rental Air conditioners, Toronto? One of the main advantages for choosing to rent your air conditioner is the cost factor. Most of us don’t have a large chunk of money to put toward a new unit. With these rental options, you pay a monthly amount, rather than a huge initial outlay. It will also help you figure out what features you do and don’t need for your home. When it comes down to it, it’s always all about comfort. This spans beyond the physical environment. With the ease of renting, the whole process of obtaining and installing an air conditioner can be hassle-free. The air conditioner contractors here in Toronto strive to make this a pain-free experience. Less stress means more relaxation! Air conditioners are not maintenance-free. As such, they require regular servicing to perform at their best. Pollen and dust here in Toronto can wreak havoc on the filtering system, requiring regular checks and cleaning. Whether the filters need to be cleaned or a belt adjusted, with renting you know that any air conditioner repair will be taken care of properly and in a timely manner. If you’re still deciding what part of Toronto you want to hang your hat in, it’s wise to rent your A/C so it doesn’t take the full brunt of the moving process. Damage is not uncommon, and sometimes it can be irreparable. Thus, finding rental air conditioners in Toronto is a good choice. They handle all of the moving/installation/removal, so you don’t have to worry about damaging your air conditioner. 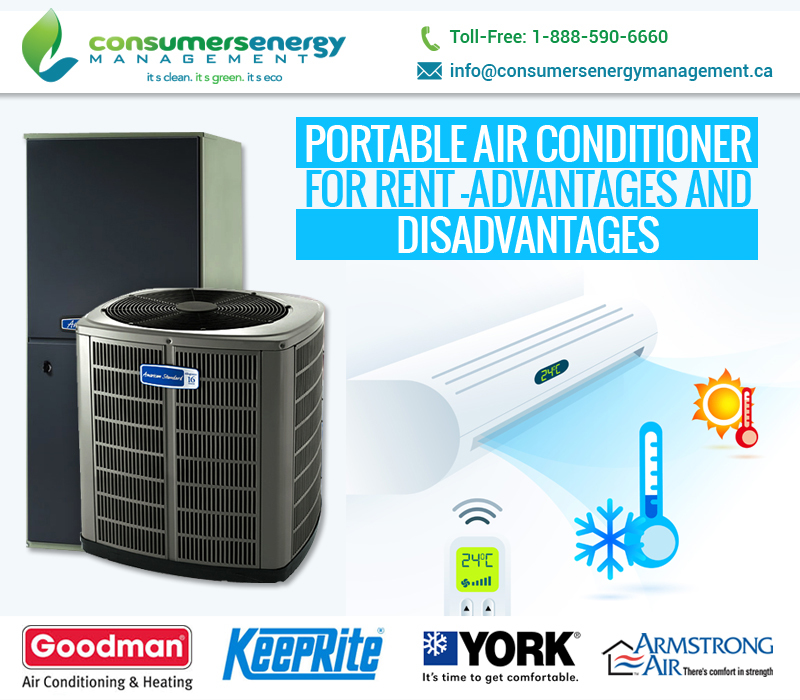 When seeking an alternate to buying a costly air conditioner in Toronto, consider the rental option. Your bank account will thank you!